Created by The Center for Investigative Reporting and PRX, Reveal is public radio's first one-hour radio show and podcast dedicated to investigative reporting. 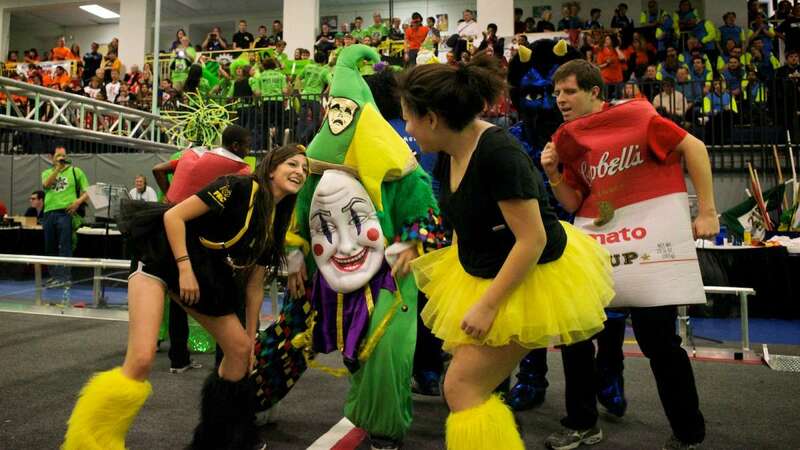 The Springside Chestnut Hill Academy gym was filled with students, parents and spectators this weekend — some donning bizarre costumes and spray dyed hairdos — dancing, cheering and shouting in support of their favorite teams. It was all in the name of science, engineering, technology and math. 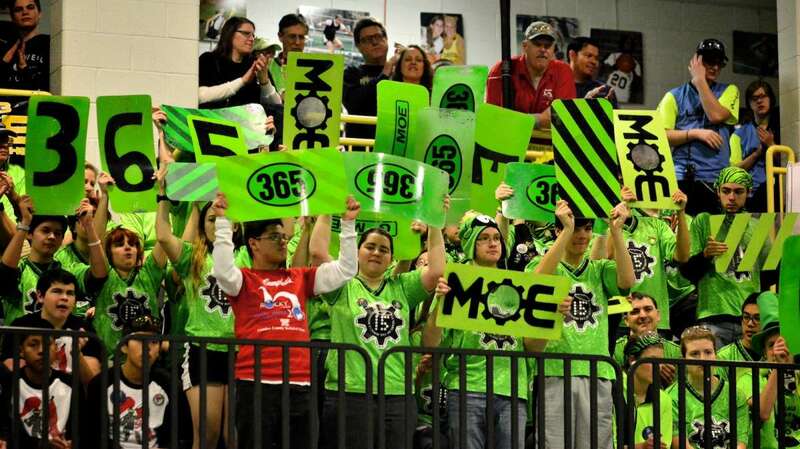 The sporting-event-like excitement is exactly what mentor and judge Scott Rankin says the FIRST Robotics competitions are all about. 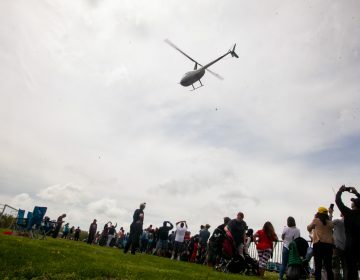 “The whole idea of this thing is to get kids interested in science and technology. The key to it was, you’ve got all of these sporting events where you’ve got all of the noise, and the cheering, and the screaming, and the players; they’re the heroes,” Rankin said. 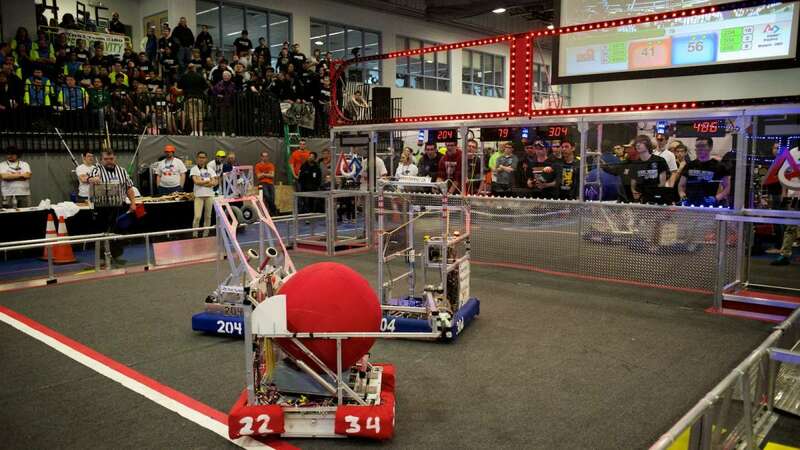 Thirty-four teams from Pennsylvania, Delaware and New Jersey showed off their scientific prowess by building and programming robots to duke it out in a three-on-three simulated basketball game called Aerial Assist at the city’s only For Inspiration and Recognition of Science and Technology (FIRST) Robotics District Competition this weekend. 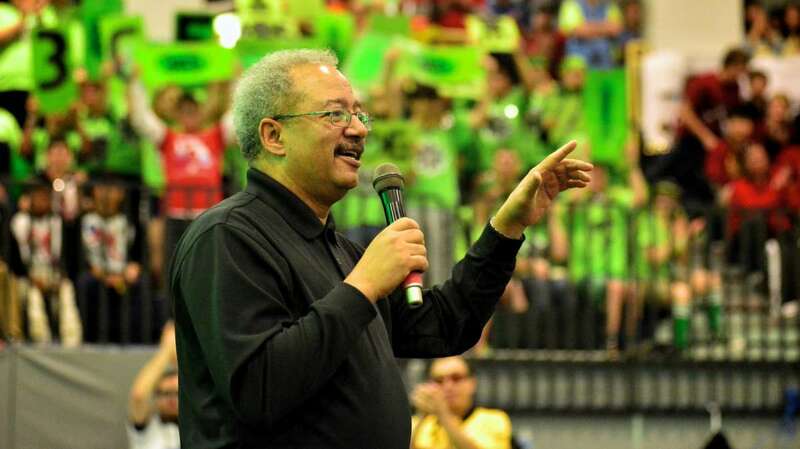 U.S. Rep. Chaka Fattah delivered remarks at the opening ceremony of the annual event, which was hosted by nonprofits FIRST and Mid-Atlantic Robotics. 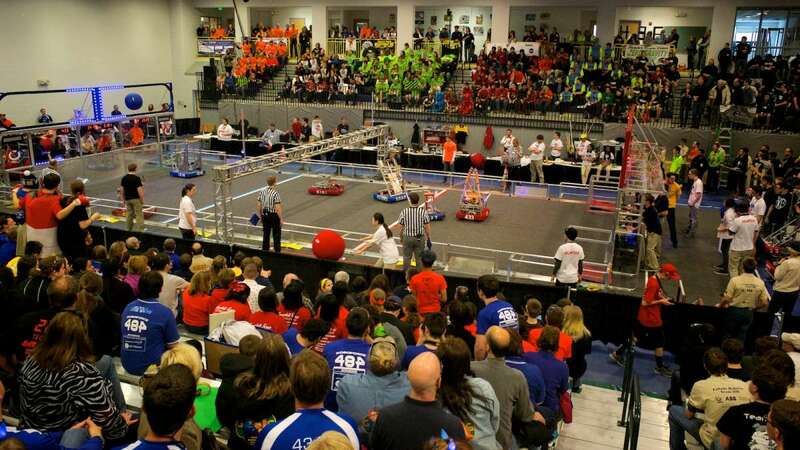 Both organizations’ missions are to motivate young people to pursue opportunities in science, technology, and engineering. The in-house team for SCH Academy, The Vulcans, has been participating in the competition for 12 years and they’ve racked up lots of awards. SCH Academy senior Molly Dugan said the team has come a long way since its humble beginnings. “We started out in a storage closet with five kids and two mentors; that’s all we had. 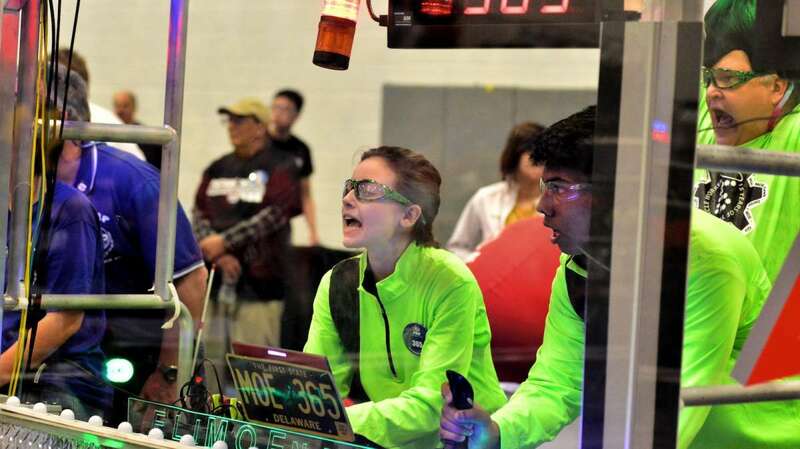 We had no money, no materials, no tools, and yet the passion and inspiration that our mentors had, they instilled it in the team members and we won our first competition,” she said. 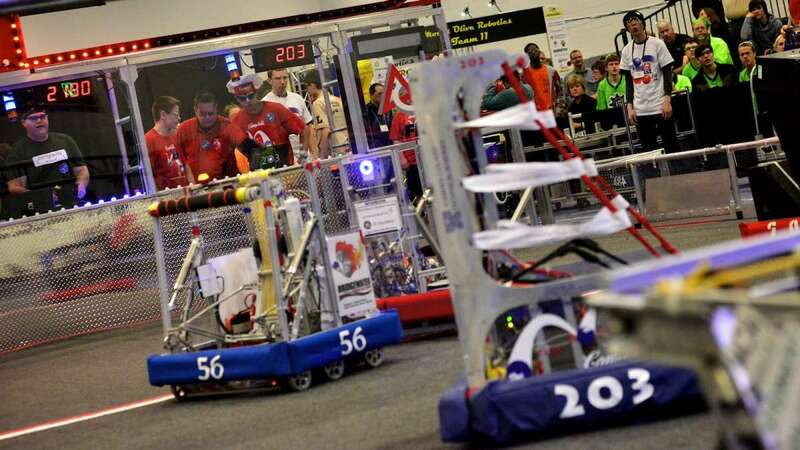 In their first year, The Vulcans not only won the Philadelphia regional competition, they also won the Rookie All-Star Award. 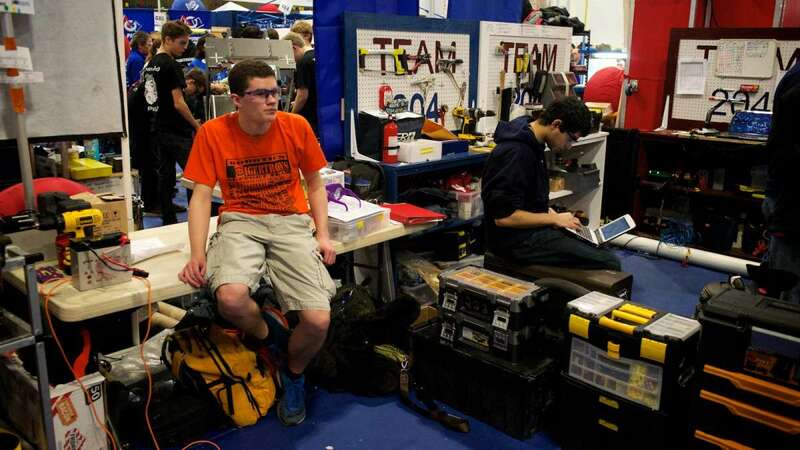 Since then, the team has qualified to compete in the championship round of the competition every year. But the even bigger win for the team has been the changes it inspired the school to make. Rankin said student success in the competition played a role in inspiring SCH Academy officials to invest more heavily in STEM programming, including builidng new labs instead of a new gym. Jeffrey Ng graduated from SCH Academy in 2012 and is now a Systems Engineering major at the University of Pennsylvania. 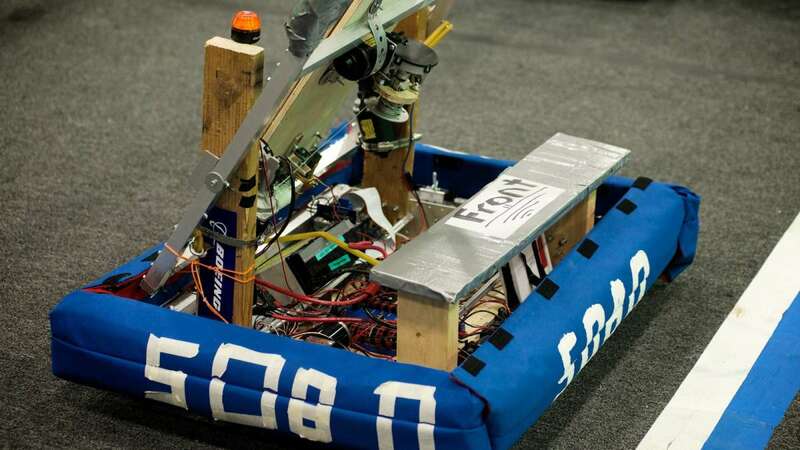 He said the school’s robotics program and his participation in the FIRST competition was instrumental to helping him choose his college major. 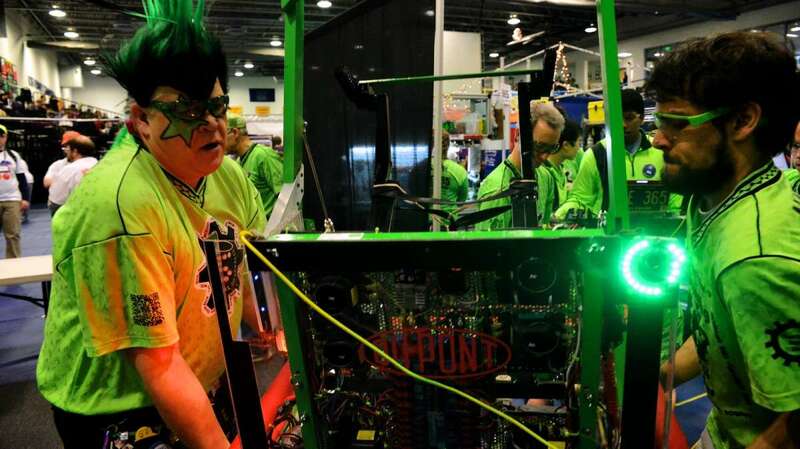 It is indeed a robotics competition, but according to Rankin, the students are critiqued on just about everything except for the actual robots they create. 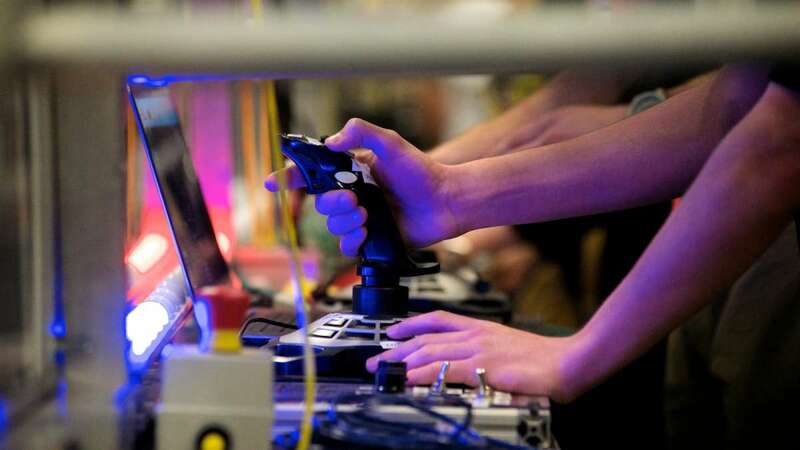 “Who’s cheering the loudest, who’s got the best look, what robot is built the best—not how does it work—but which is built the best, which one was the neatest, what was the most clever thing that they came up with,” he said. 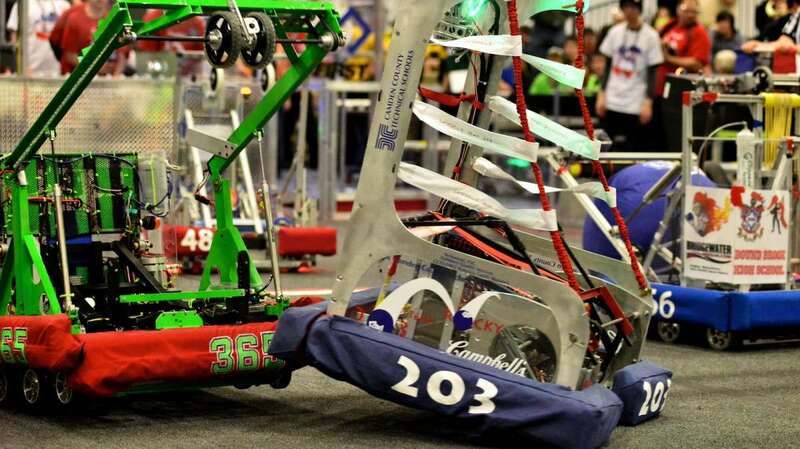 After a total of 68 qualification matches, the field is narrowed down to just eight teams. 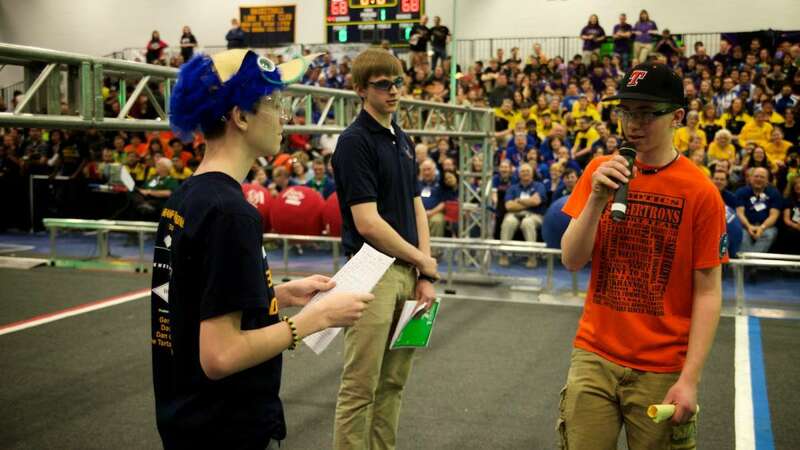 Before the final face-off, each team is required to choose two other teams to join their alliance. So, a total of 24 teams make it into the finalists circle. 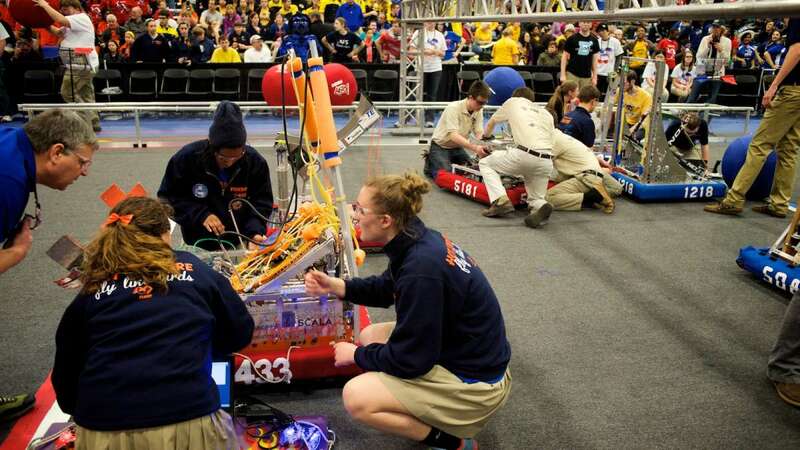 This atypical process of conjoining competing teams, Rankin said, is to build up other skills within the students such as marketing, scouting, teamwork, and sportsmanship. 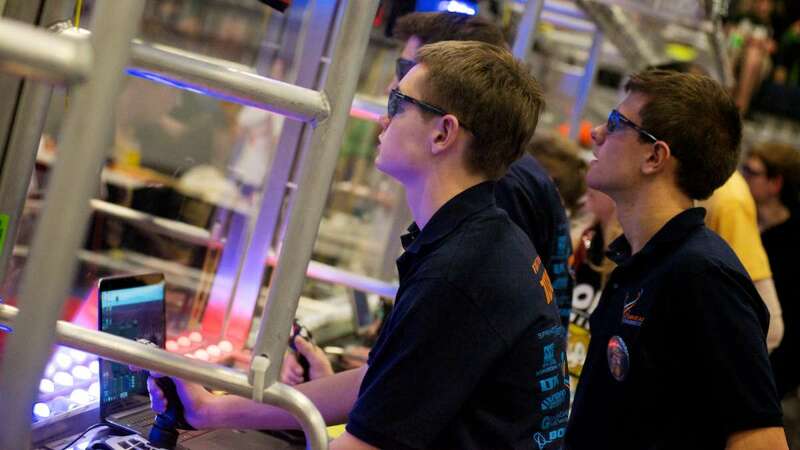 The Vulcans took home second place in the competition and also won the Imagery Award, which celebrates attractiveness in engineering, outstanding visual aesthetic integration of the machine, and team appearance.